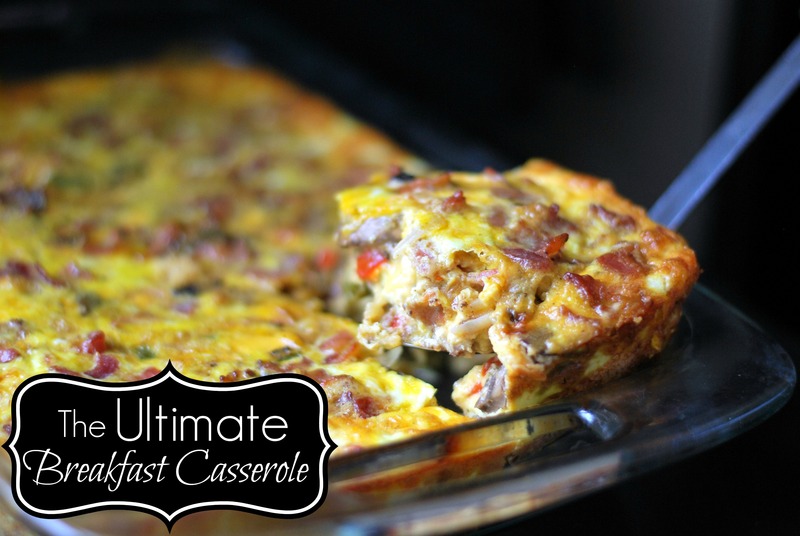 We had this casserole for brunch yesterday and it was SO GOOD! 2 meats, 2 types of cheese and tons of veggies, how could it NOT be good? This one is going into our regular weekend brunch rotation. Heat oven to 350 degrees F. Brown sausage in a large skillet and remove from pan and set aside. Add diced bacon to the skillet and cook until down, remove and set aside, reserving 2 Tbsp bacon grease in the pan. Add mushrooms, onions, bell peppers and hashbrowns to the skillet and cook until veggies are softened. Mix in velveeta cheese with the veggies, until cheese is melted and combined. Wisk eggs, sour cream, cheddar cheese and reserved cooked bacon in a bowl. In a 13×9 pan, layer the cooked sausage, followed by the vegetable mixture, then top with egg mixture. Bake for 40 minutes or until center is set and casserole is heated through. If you are feeling extra decadent, top with even more cheese and place under the broiler for a couple of minutes. Allow to rest for 10 minutes before serving. Enjoy! 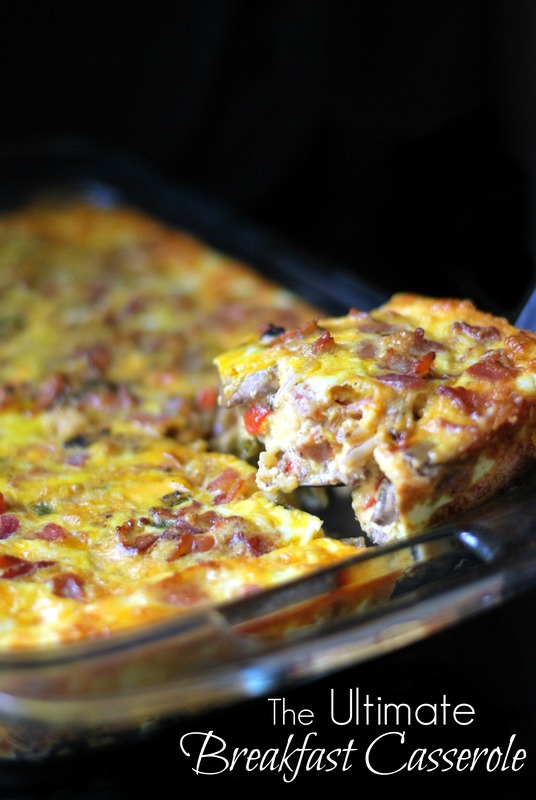 Now THAT is my kind of breakfast casserole – YUM! !